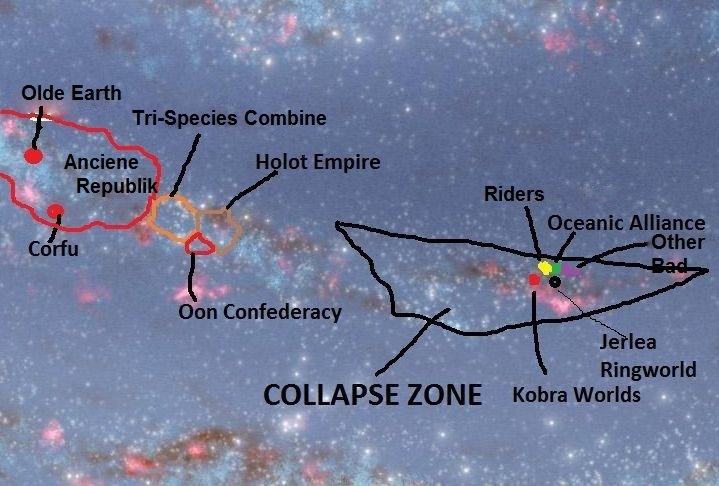 The Collapse Zone is a region of space for those Traveller players who like that sort of thing. It was caused by the supernova of a hyper-giant star known as the Hammerstar, and reeked tremendous damage across space. 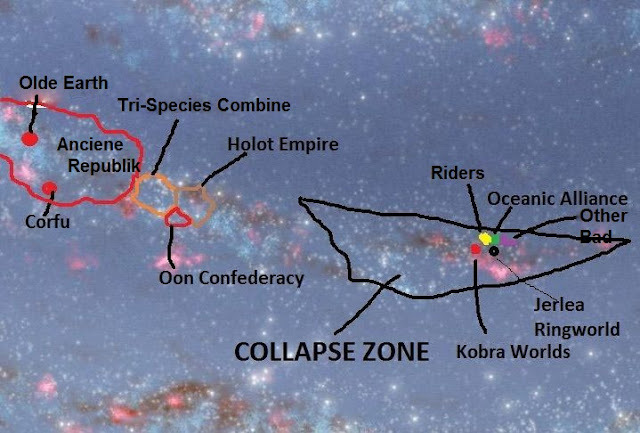 This is a fast and simple graphic, showing the Collapse Zone compared to where Corfu and Olde Earth are located. Enjoy!